Born in Wolverhampton, Paul has been involved in many aspects of the Loughborough's music life, having been Choirmaster at All Saints' Parish Church, and Musical Director of Loughborough Male Voice Choir and Charnwood Opera. A baritone of distinction, Paul has performed throughout Britain and on the continent in recital and oratorio. 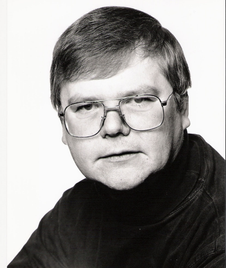 On stage he has sung many G&S roles including The Mikado, The Judge (Trial By Jury), Jack Point (Yeomen of the Guard). His roles in opera include Colline (La Bohème), Alfio (Cavelleria Rusticana), Pharaoh (Aida) and Remendado (Carmen) with ‘Charnwood Opera’, The Commissioner and Yamadori (Madame Butterfly), Masetto (Don Giovanni) with ‘operahouse’, and Orator (Magic Flute) Morales (Carmen) and Zaretsky (Eugene Onegin) with ‘Knighton Opera’. As Musical Director, Paul’s directing portfolio includes The Gondoliers, Die Fledermaus, A Masked Ball, La Boheme, La Traviata and Madame Butterfly.